People are emotional beings. They often enjoy the best moments of their lives by being open to experiences and channelling these in a positive way. People can sometimes feel swamped by emotions, however, and find it difficult to settle on a way forward. This can happen when facing an illness, dealing with a crisis or needing to make a tough decision. How to manage such situations? 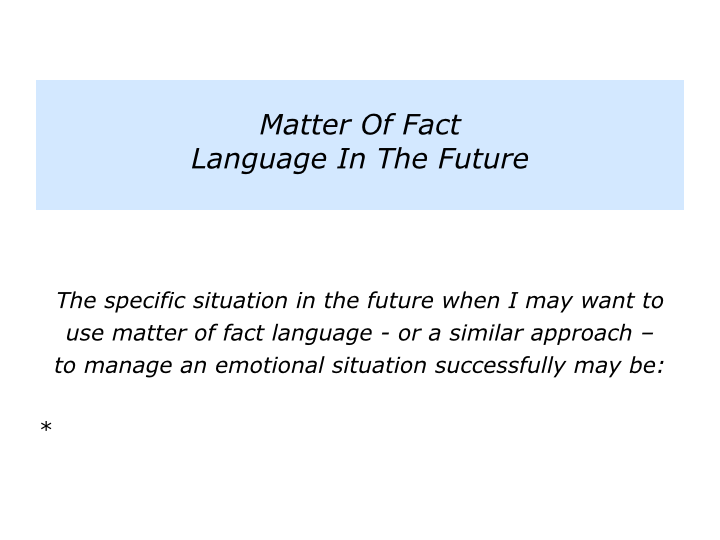 One approach is to maintain a sense of openness, but also to frame the situation in matter of fact language. This can provide the perspective required for exploring the options for going forward. People can then make the emotional commitment to pursuing their chosen route. Let’s consider how to make this happen. Looking back on your life, when have you framed a difficult situation in a matter of fact way? You may have faced a troubling dilemma or perhaps helped others to tackle a difficult challenge. How did you acknowledge the emotions, but also manage to find a way forward? A good surgeon does this when sharing test results with a patient. Acting like a trusted advisor, they start by creating a caring environment and giving the person their full attention. 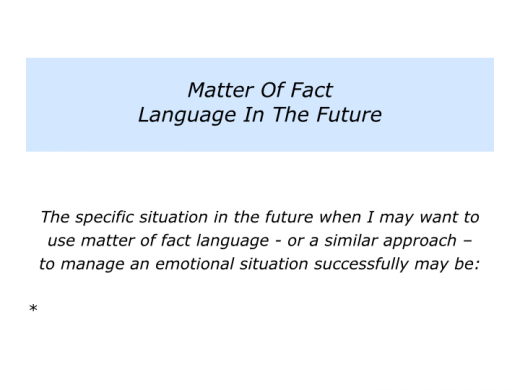 They connect with the person and acknowledge the emotions involved. When appropriate, they present the reality of the situation. They may say something like the following. “As you know, we have got the results back. I am afraid it isn’t good news, but there are several possible routes forward. Each of these does, of course, have pluses and minuses. “Whilst I can make recommendations, it will ultimately be your decision. I will support you in whichever route you want to follow. Good surgeons present information in a way that is caring and clear. They are prepared to share their knowledge and map out the possible options, together with the risks. They recognise that it is vital for the person to have a sense of control, however, and to choose their own way forwards. People sometimes take a similar approach to tackling their own challenges. 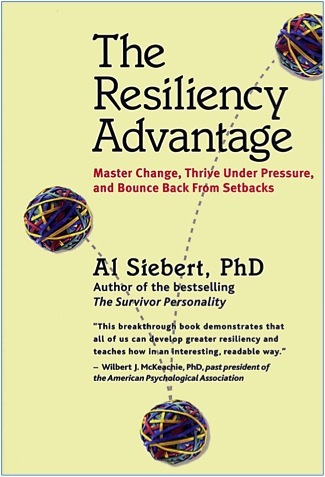 Al Siebert explored this aspect in his books The Survivor Personality and The Resiliency Advantage. The books contain stories about people who overcame extreme challenges. The situations they faced included sexual assaults, life-threatening illnesses, being prisoners of war, addictions, physical attacks and crippling accidents. How do people cope with such adversity? Some don’t, says Al. They feel victimised, blame other people, become helpless or lash out. Some people do cope with adversity. They stay calm, clarify what is happening and consider their options. Committing to their course of action, they concentrate fully until they reach their chosen goal. Here is a summary of Al’s findings. The survivor way of orientating to a crisis is to feel fully and totally responsible for making things work out well. They do this by taking the following steps. “Something like that happened for me,” said one person. “At first it felt like being hit by a hammer. “After a while, however, I seemed to click a switch and drain myself of emotion. I needed to rise above the situation and survey my options. “One option was to succumb to despair, but I didn’t see much point in that, so I began to explore other possibilities. It was important to gather lots of information when considering the options. Describe a specific time when you used matter of fact language – or used a similar approach – to manage an emotional situation successfully. 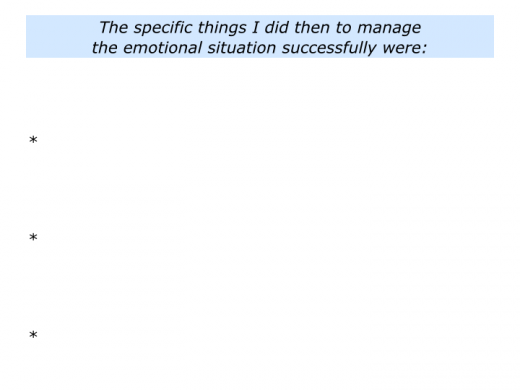 Describe the specific things you did to manage the emotional situation successfully. People sometimes use this approach when managing difficult challenges. They may be recovering from losing a job, dealing with an illness, regaining a sense of purpose or whatever. 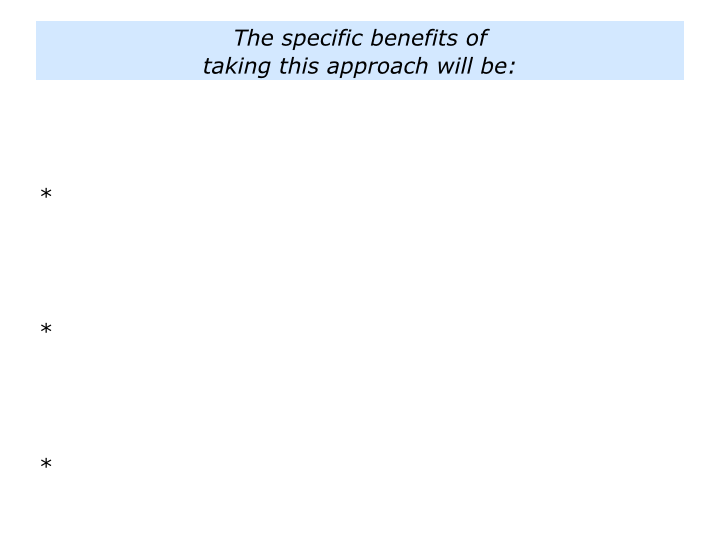 Some employ elements of the approach to help others perform at their best. A football manager I worked with tried to take the emotion out of the situation when his team faced a big match. Footballers are emotional, which can a great driver. But it can also be crippling, especially if they have negative self-talk. Some become paralysed. They worry about the results of upcoming matches and how these will affect their future careers. How to lift the emotional burden? The football manager redefined the players’ roles as work, rather than life or death situations. So he kept focusing on the work to be done. Each player must know their role in the team – the job they were meant to do – and be willing to perform it properly. They needed to focus on their job, rather than their emotion. This went well for a while. During one game, however, the team lost a two-goal lead. Instead of getting emotional, the manager reminded players about the game plan and their roles in making it happen. The team then went on a winning run. Before critical games, he took the matter of fact approach, rather than get caught up in the occasion. He told the players. Different people have different ways of managing difficult challenges. 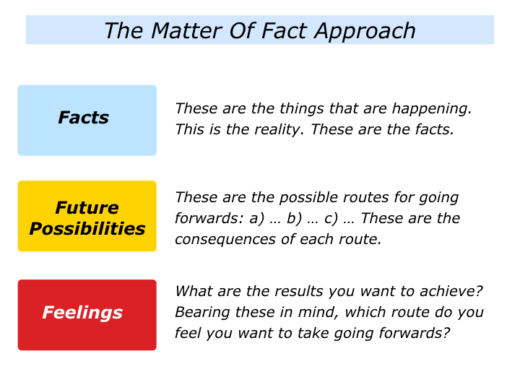 One approach is to begin by looking at it in matter of fact way. After taking the helicopter view and exploring their options, they focus on the way forward. They then follow their heart and pursue the route they believe in. People may go through the following steps. These are the things that are actually happening. This is the reality. These are the facts. These are the possible routes going forwards. These are the consequences of each route. These are the results I want to achieve. Bearing these things in mind, which is the route I feel I want to follow going forwards? 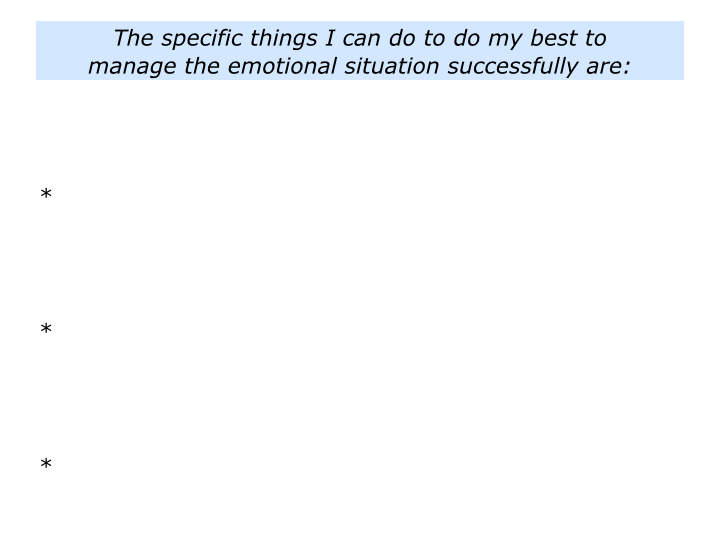 You will have your own approach to, when appropriate, taking the emotion out of a situation. If you wish, try tackling the exercise on this theme. This invites you to do the following things. 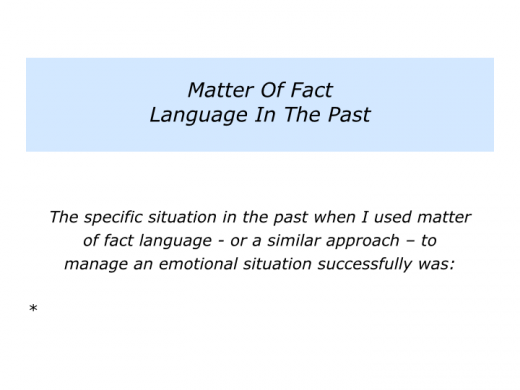 Describe a specific emotional situation you may face where you think it could be useful to use matter of fact language – or a similar approach – to manage it successfully. Describe the specific things you can do to manage the emotional situation successfully. 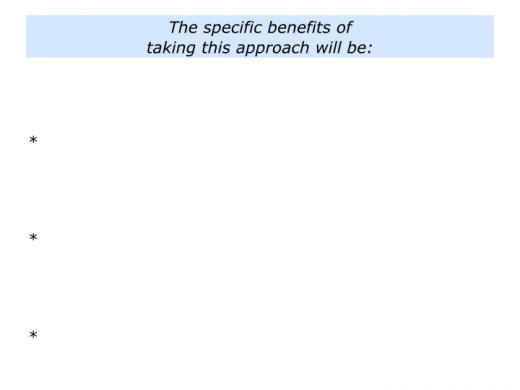 Describe the specific benefits of taking this approach to managing it successfully.